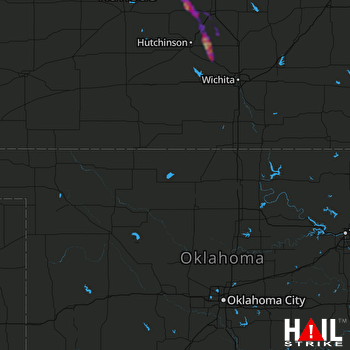 Doppler radar detected Quarter size hail near Hesston, KS, Hillsboro, KS and Buhler, KS on August 9, 2018. This hail storm was traveling E at 4 mph and the entire storm produced hail for roughly 5 hour(s). Radar reported a max hail size of 1.5″ and an average hail size of 1.18″. We estimate that 13,734 buildings were in the affected area and the probability of hail DHI detected was significant. Based on this information, you can expect potential damage to fruit, crops and vegetation, but not much else (Intensity Rating 1). 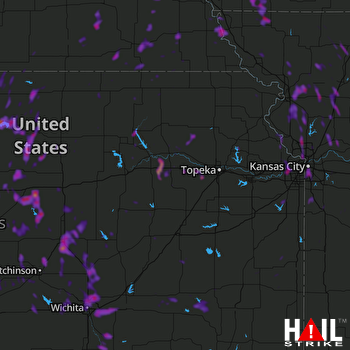 Doppler radar detected Quarter size hail near Buhler, KS on July 25, 2018. This hail storm was traveling SSE at 27 mph and the entire storm produced hail for roughly 48 minute(s). 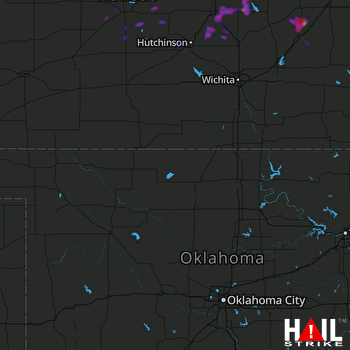 Radar reported a max hail size of 1.25″ and an average hail size of 1.13″. We estimate that 2,482 buildings were in the affected area and the probability of hail DHI detected was significant. Based on this information, you can expect potential damage to fruit, crops and vegetation, but not much else (Intensity Rating 1). 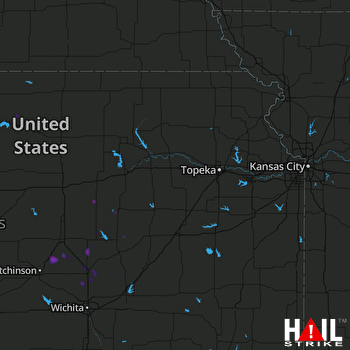 Doppler radar detected Golf Ball size hail near Buhler, KS, Burrton, KS and Little River, KS on July 25, 2018. This hail storm was traveling SSE at 27 mph and the entire storm produced hail for roughly 2 hour(s). Radar reported a max hail size of 2″ and an average hail size of 1.75″. We estimate that 24,717 buildings were in the affected area and the probability of hail DHI detected was significant. Based on this information, you can expect potential damage to fruit, crops and vegetation, but not much else (Intensity Rating 1). 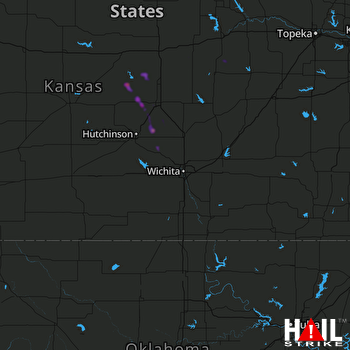 Doppler radar detected Half Dollar size hail near Herington, KS, Inman, KS and Buhler, KS on July 6, 2018. This hail storm was traveling ENE at 20 mph and the entire storm produced hail for roughly 1 hour(s). Radar reported a max hail size of 2″ and an average hail size of 1.46″. We estimate that 5,913 buildings were in the affected area and the probability of hail DHI detected was significant. Based on this information, you can expect potential damage to fruit, crops and vegetation, but not much else (Intensity Rating 1).